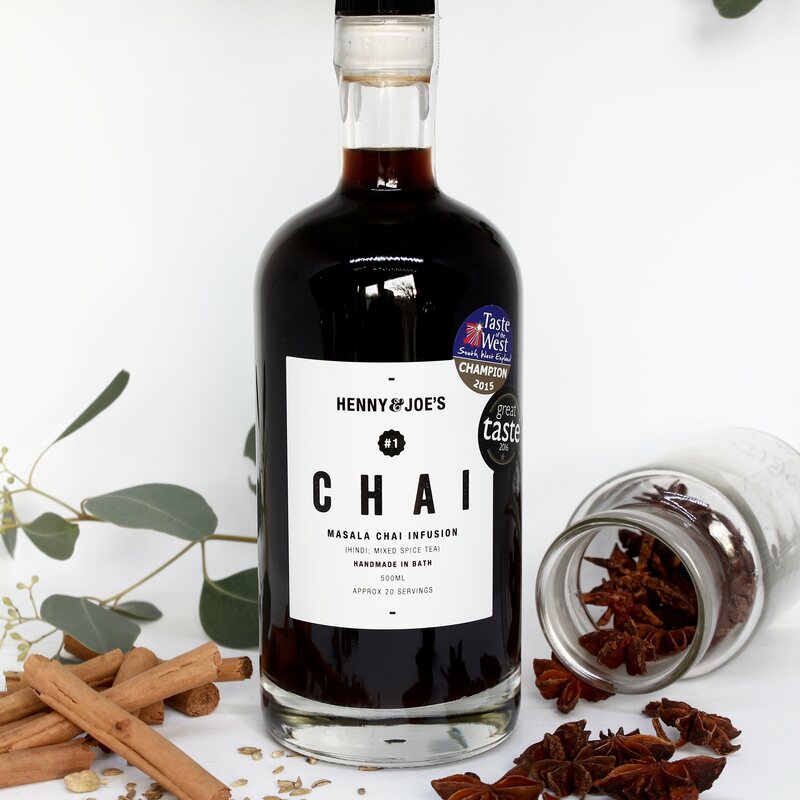 An array of spices is combined to bring you a therapeutic experience and a beautifully blended chai infusion. Using traditional methods of decoction, the recipe is created from a blend of aromatic whole spices: cardamom, cinnamon, cloves, ginger, allspice, vanilla, star anise, nutmeg, fennel seed, mixed spice, sugar, water and nothing else. True to its origin, this chai blend is naturally free from caffeine, artificial preservatives, colourings and additives. 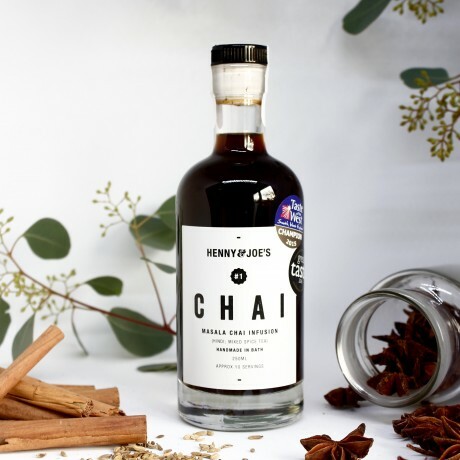 Because of its syrup form, Henny and Joe's chai is unique to the market and extremely versatile. 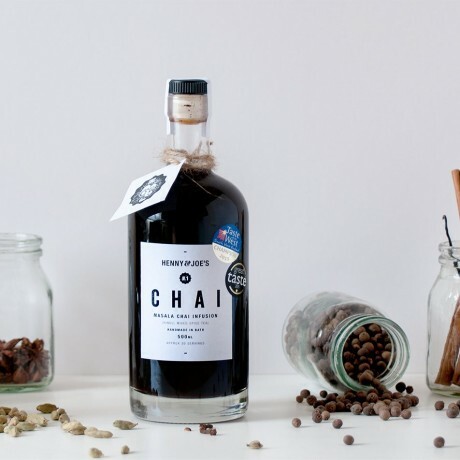 Not only can it be used to make chai latte and chai tea, but also in baking, puddings, milkshakes, cocktails, and more. Tried a sample at Bath Christmas Market in Dec 17 and loved it.